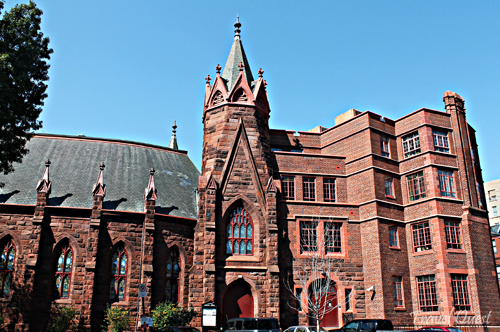 Luckily, I found this old church across the street few blocks away from the Philippine Embassy in DC. At first, I thought I was in 18th century England. The exterior of the building has a nice and unique design. If you admire great architecture and art, this is a must-see. However, beware of traffic this city might be small but the traffic is horrible. Most of my photos were taken in Landscape and no flash setting. 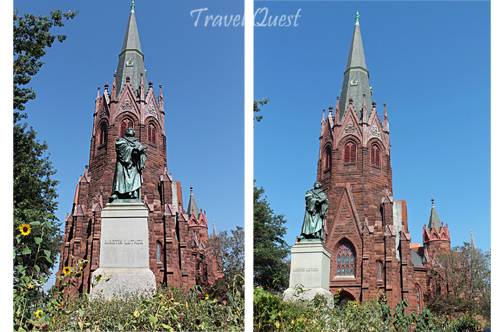 Brief History: Luther Place Memorial Church, located near Thomas Circle in Northwest Washington, DC, was constructed in 1873 and is of Gothic Revival architecture. 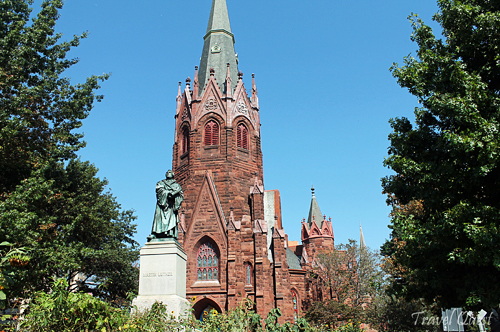 The church, like many others, resembles the shape of a ship, symbolizing a vessel for God's work, and it is well known for its stained glass windows picturing twelve reformers: The church's exterior is covered with red sandstone from the Seneca Quarry, the same quarry that provided the stone for the Smithsonian Castle. Tagal na rin pala nyan nung unang na costruct. Im sure naalagaan yan mabuti pag may sira ay ne rerepair agad kaya maganda pa rin ang itsura nya. That is a beautiful church, I really like it. Beautiful church, Leah. 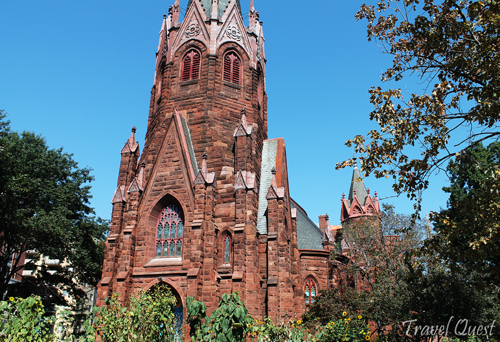 I love seeing old churches --and love to go inside for more pictures when I can. Thanks for sharing. You asked about my lenses. We have 4 different lenses. I usually use the 18-55mm or the longer lens, 55-250mm. We also have a 75-300mm and a 60 mm fixed lens (for macros). Beautiful. I like old churches, narinig ko nga dyan sa NY grabe ang traffic kaya di pa kami nakapunta dyan kasi yong anak ko ga stroller pa.Mahirap daw sabi ng asawa ko. Love the gothic architecture, one of the beautiful churches..
Aaaw thanks for sharing sis! My heart melts with churches. And this one has a great history and even the materials used have their story. Nice!